This post you’re about to read was viewed, shared, and liked more than almost any other on our blog last school year. Since its original publication, both Debbie Gascon, the high school teacher who wrote it, and Folger staff, have heard from teachers all over the country who loved—and tried out, to great results—Debbie’s ideas. If you’re looking for a way to make your classroom joyful, active, collaborative, and, yes, just the right kind of challenging—right from day 1—look no further. Try out a few of Debbie’s tested strategies for getting students on their feet and into complex texts in minutes. And let us know how it all goes: shoot Corinne Viglietta an email at cviglietta@folger.edu. Wishing you and your students a happy, productive return to school! Eighteen years ago, days before my first year teaching began, my principal gave me the best advice I’ve ever heard about the first day of school. She simply said, “Make the students want to come back.” She told me to forget the syllabus and classroom procedures—the students won’t retain those rules and did I really want my first impression to be about how to ask for the bathroom pass? As suggested, I followed through with my hopefully-memorable plans on that first day. When I ate dinner that night (in my pjs because I was so exhausted!) I had visions of my eighth graders at their dinner tables telling their families about their invigorating English class. I’m still not sure if that happened, but they all came back the next day with smiles on their faces and eager to learn. They were optimistic. And so was I. With that advice in mind, on the first day of school for the past two years I’ve incorporated Folger performance methods in my lesson plans. What a difference this has made. No longer were my sleepy seniors glaring at me (and the clock) and no longer were my freshmen struggling to sit still in a desk after a summer of hyperactivity. Instead, students were on their feet, participating and laughing (and learning!). As summer (too quickly) comes to a close, I’m filled with a mix of excitement and anxiety. What will my students be like? Will what worked last year work again this year? What can I do to make this year a successful and engaging one? Big questions. No easy answers. But, here are some basics I’ll when starting a new school year with the Bard. Start Early – I’ve started each of the past three school years with “2-line scenes.” It’s an easy activity to create: find some of those famous zingers – insults or notable lines – from any of Shakespeare’s works, give one line to each student (preferably from different works), have the kids get in pairs, and ask them to create a scene! This does a number of fantastic things early in the year. First, it gets the kids out of their seats during a monotonous week of syllabi review. Second, it gets them building the classroom community by learning the norms of performance (however they choose to set those). Third, it forces them to think creatively to create a new context using Shakespeare’s words. I’ll use this on day one, but I think any time the first week works well. 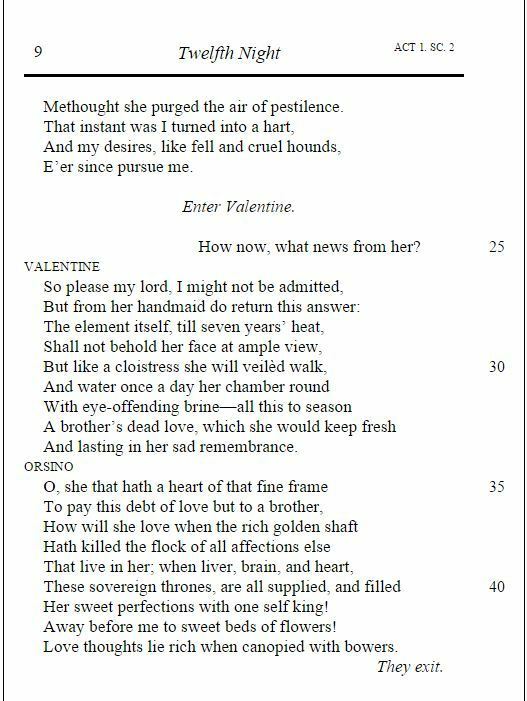 You’ll have exposed your students to Shakespeare early, and chances are they’ll come across some of those lines again as you approach longer texts throughout the year. Variety – Most of us spend a great deal of our year studying literature, and we love it! But, I find my students’ attention waning when we’re studying a longer text. Consider your objectivesand try to insert small pieces of Shakespeare throughout the year. Want the students to explore tone? Check out Claudius’ speech from Act I, Scene 2 of Hamlet. Analyzing imagery? 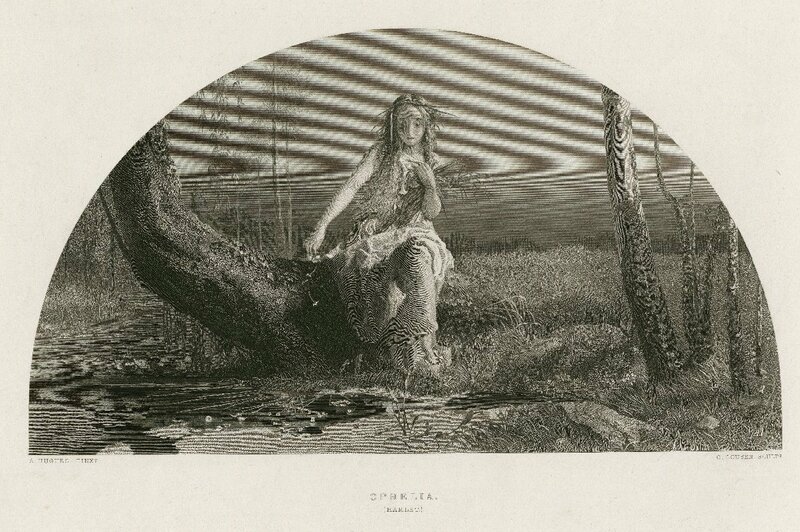 Also from Hamlet is Gertrude’s retelling of Ophelia’s death – a great choice! Teaching the kids about persuasion? How about that powerful interaction between Macbeth and Lady Macbeth at the end of Act I? Whatever you choose to use, just because you’re not sitting down to tackle an entire play doesn’t mean you can’t spice up some Chaucer, Twain, Hurston, or Hemingway with a little Shakespeare! Confidence – Yes, be confident in yourself, but also be confident that your kids will get Shakespeare, they will connect to Shakespeare, and they will like Shakespeare. He’s still around in our classrooms and throughout the world outside our classrooms because he’s relevant, and kids will understand that with you as their guide. Cheers to the start of another exciting school year! Jill Burdick-Zupancic is beginning her eighth year as an educator and currently teaches Honors English and AP Art History at Thomas Jefferson High School for Science and Technology in Alexandria, VA. She is a Member of the Folger National Teaching Corps and a Teaching Shakespeare Institute (TSI) alumna from 2012. Jill can be reached at jeburdickzup@fcps.edu. Inside the Classroom: How Did the Shakespeare Unit Kickoff Go? NYC teacher and Folger National Teacher Corps member Gina Voskov is back with the third installment in her series “Inside the Classroom,” in which her students share their experiences with Shakespeare at different points throughout their Twelfth Night unit. You can read the first installment here. We are about five classes into Twelfth Night, and, as promised, my three 7th graders, Won Jae, Lois, and Alexandra, are back with some reflections about the opening of the unit. Enjoy! Won Jae: Now that I think of it, Shakespeare isn’t that bad. As I said before, Shakespeare always used to bore me, and I didn’t think very importantly of it. But the thing is, after I had a few lessons of Shakespeare, I didn’t think it was as bad as I thought it would be. One of my favorite things we did in the beginning of our unit was the first one, when we tried to say the word, “O” in many different tones. I was surprised to see how different it can sound when we try to say the word in a different tone! For example, when we tried to say the word in an excited way, the tone became very high-pitched, while when we tried to say “O” in a tired way, we dragged the word in a low pitched voice. I believe that this exercise was used to train our voices so when we read Shakespeare, we can use various tones. However, my favorite activity was when we did this activity called, “Slugs versus Clods”. It was when our class broke into two groups, and we had a script to follow, and they were full of insults that were used during Shakespeare’s time. We were supposed to state the insults as one whole group, but tension built up and people started to raise their voices and stop following the script. The thing I’m really looking forward to is acting out the play, which will be the final for our Shakespeare unit. I hope that we do a lot of acting in the future while we continuously read and learn about Shakespeare. I also liked the activity of journaling, answering two questions: The first question was “What does it mean to be lovesick?” and the second was “How do people act when they’re in love?” I liked this one because we got to answer in a way that makes us think about love and how people would think about it and their actions. Also, it made us think about how Orsino felt about Lady Olivia. An activity I thought seemed difficult was the complements. It was difficult for me because the words written on the sheet were unknown to me and there was so many. Hence, it wasn’t easy to make sense of the words and form a correct sentence that could be understood. However, the work done helped me in ways to read and learn more on Twelfth Night by knowing that depending on tone and stress of words, it enables the audience to interpret many things. Further, learning chorally and individually helped me learn because thinking by ourselves makes us think deeper, and hearing other’s thoughts puts together a bigger picture for us. Alexandra: Ms. Voskov introduced the unit by doing an activity to become familiar with the vowel ‘O’- an exclamation and way of conveying emotion that Shakespeare commonly uses. Having done a similar exercise before in my acting class, I was pretty curious to how the students in my class would respond. I definitely felt like there was a positive response when we went around the classroom reading a line from Shakespeare containing ‘O’. I was happy to see that most everyone really understood how Shakespeare had intended for the actor to read the line. Another exercise that we have done so far, beginning the play Twelfth Night, is exploring the first line of Orsino’s soliloquy: “If music be the food of love, play on!” We then substituted ‘music’ for something else that we were passionate about and substituted ‘love’ for what our particular passion feeds. I really enjoyed this exercise. I had never done anything like it before, so it was really refreshing. Having seen this passage countless times before, I also definitely feel like I am now able to look at and understand it differently, already achieving a goal of mine when it comes to studying Shakespeare in class! Gina Voskov is a 7th grade English teacher at the United Nations International School in New York City. She has taught English and Humanities for eleven years in public and private schools, in Connecticut, Brazil, and New York City. She is a Folger National Teacher Corps member and attended the Teaching Shakespeare Institute in 2012. Inside the Classroom: Do Modern “Translations” of Shakespeare Have a Place in the Classroom? NYC teacher and Folger National Teacher Corps member Gina Voskov is back with the second installment in her series “Inside the Classroom,” which takes us into her middle school classroom during a Shakespeare unit. Today, we hear Gina’s perspective as teacher, and Thursday, we’ll hear from her students. You can read the first installment here. So we’ve begun our unit on Twelfth Night, a play I love but haven’t taught before. My colleague and I are looking through the Shakespeare Set Free teacher book for ideas, but, like much of what guides what I do in the classroom—as I imagine it does for you, too—this most recent idea came from a student. I asked everyone to buy copies of the Folger edition of the play. Our end goal is to perform a scene of students’ choosing, so I wanted them to own the book to write in. As we were looking over the opening lines, I noticed one boy slyly holding his copy up higher and more awkwardly than everyone else. Snaking my way behind him, I saw he had a brand new copy of the “No Fear Twelfth Night” hidden inside the Folger edition. When he saw I’d discovered his not-so-sneaky antics, I asked him if I could hold onto the book: there was some studying I needed to do.